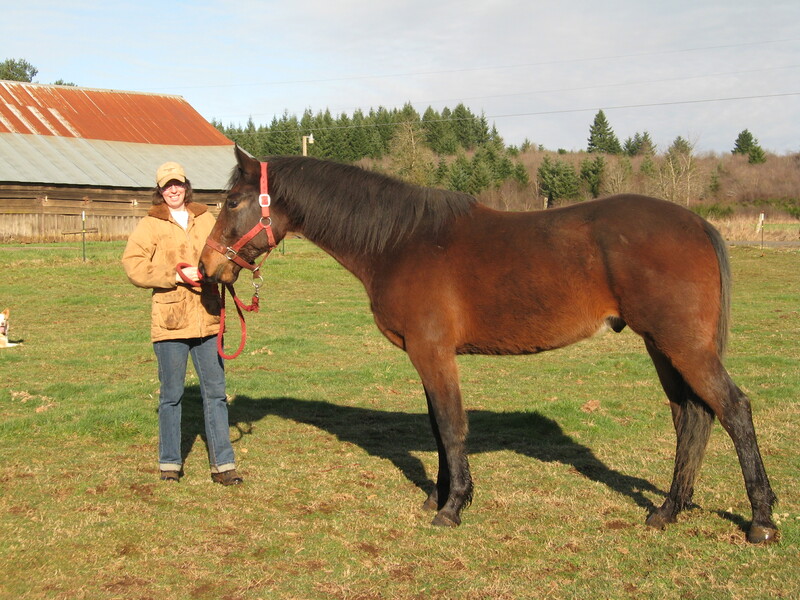 After that, my friend got out her older horse and started riding. 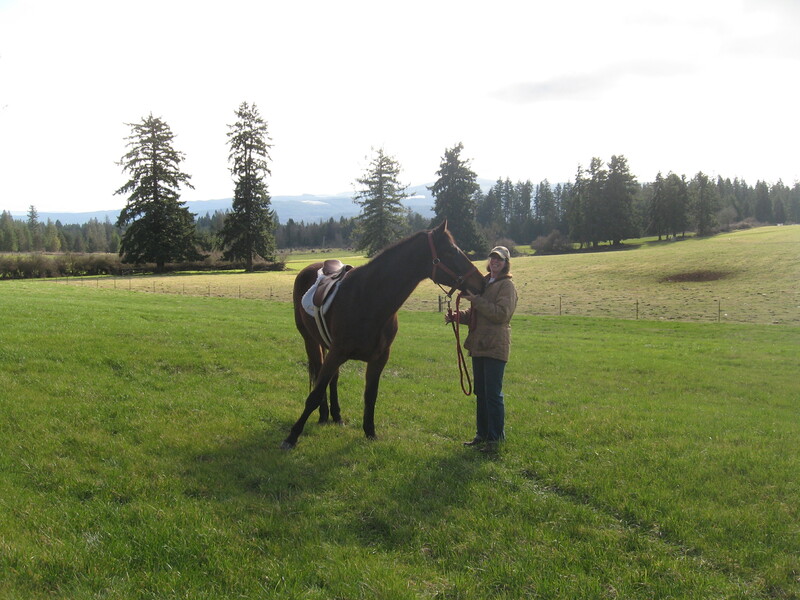 The yearling was throwing another temper tantrum, and the horse being ridden was trotting and cantering around, and still Chance was a perfect gentleman! I was so proud of him 🙂 We loaded up and hauled him home overnight, and boy was Natty happy to see him! I bet this was the first time she’s ever had her baby taken away and then brought back to her. This morning, we loaded back up and off we went for another day of fun and learning! The sun came out, and it was just a lovely morning. Chance settled right down this morning. We went back to the creek right off the bat, and he waded in without me, so I guess he learned that lesson well. 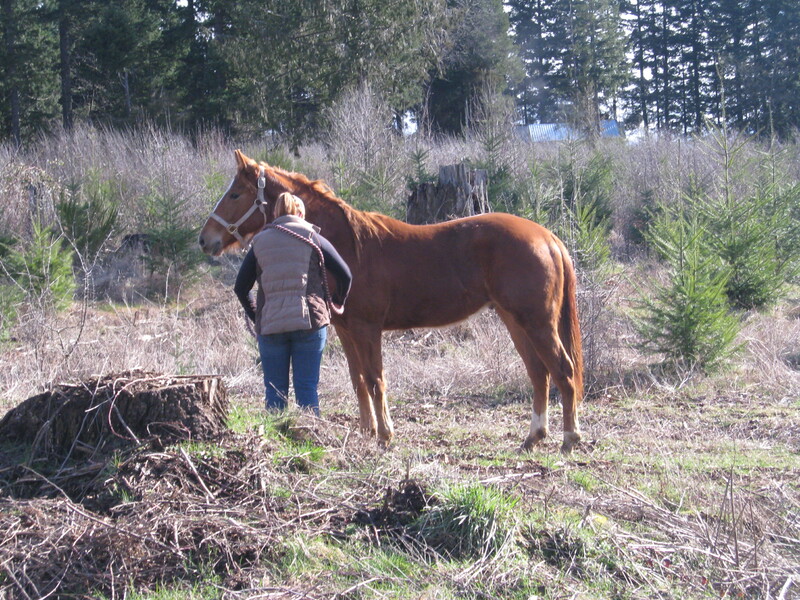 Then we went for a walk in a cleared area near the pasture with Chance’s little yearling friend. 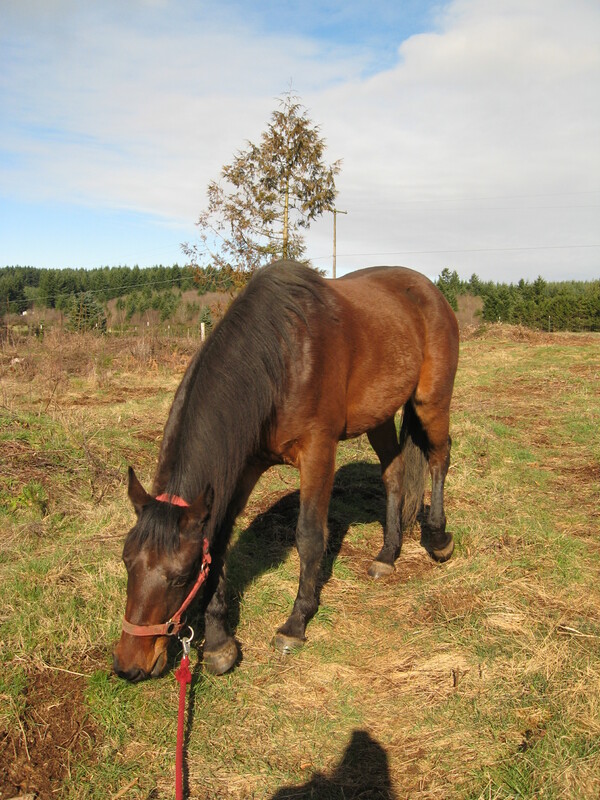 We had to walk a little ways up the road to get there, and there was a very frisky neighbor horse running around the pasture across the road, but Chance was a perfect angel. Here are some pictures – you can see how relaxed he is. 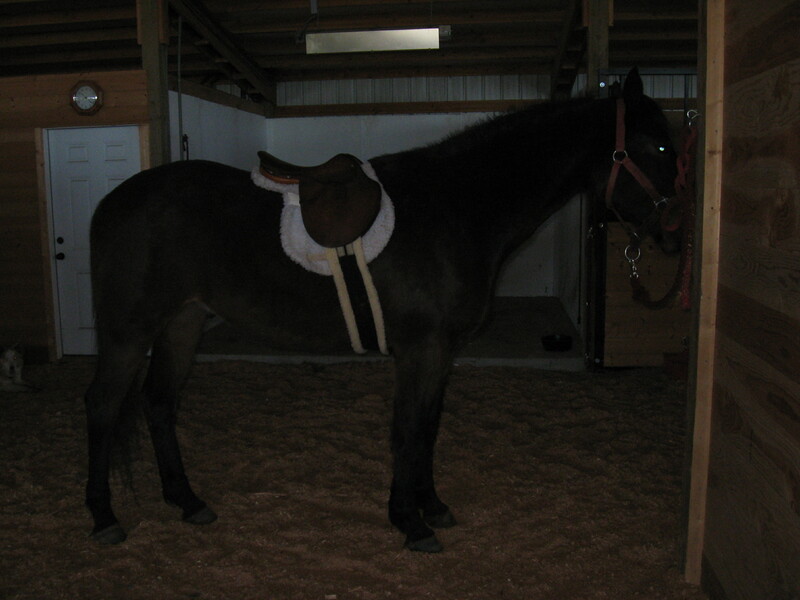 The lighting is no good, but here he is waiting for his outing with the saddle horse. 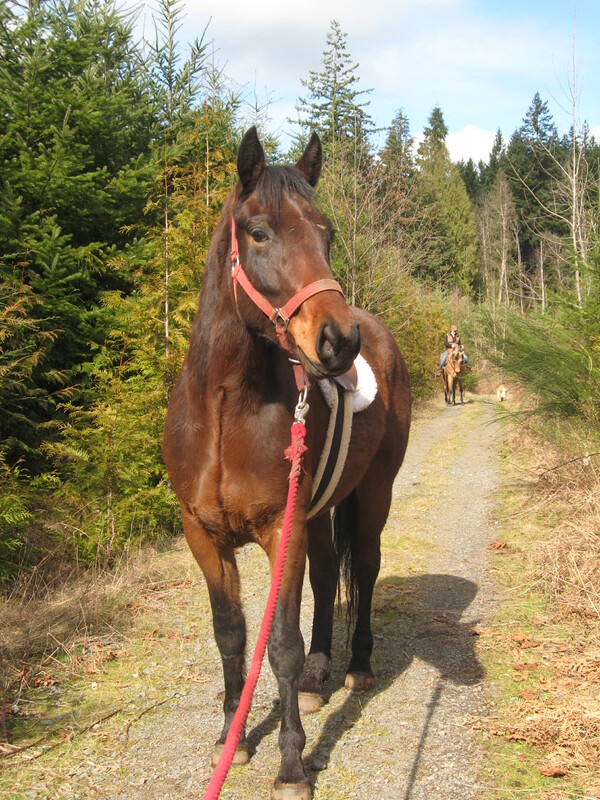 Apparently he is happy as a clam to stand tied but comes unglued when left loose in a stall – go figure. We headed up the road the other way – we didn’t see any traffic all day, which is so nice! 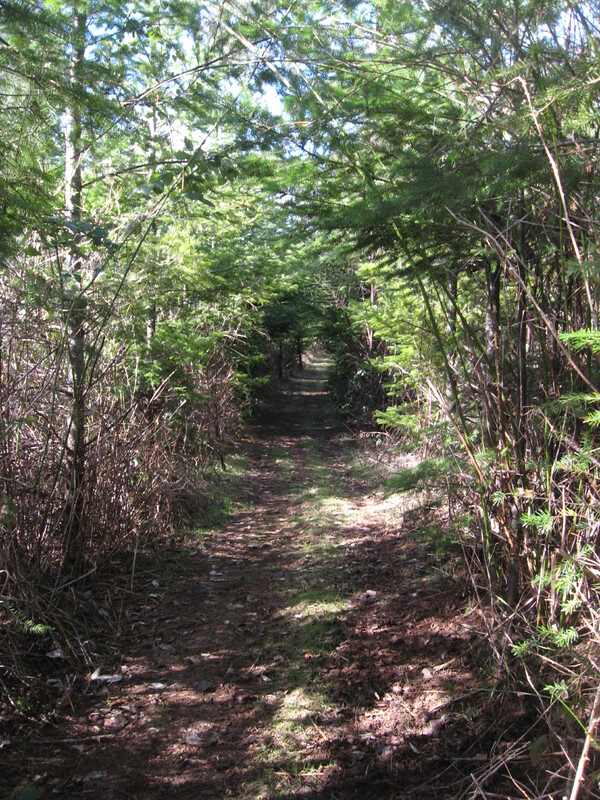 The barn owner told us there was a trail head at the end of the road, so we went looking. 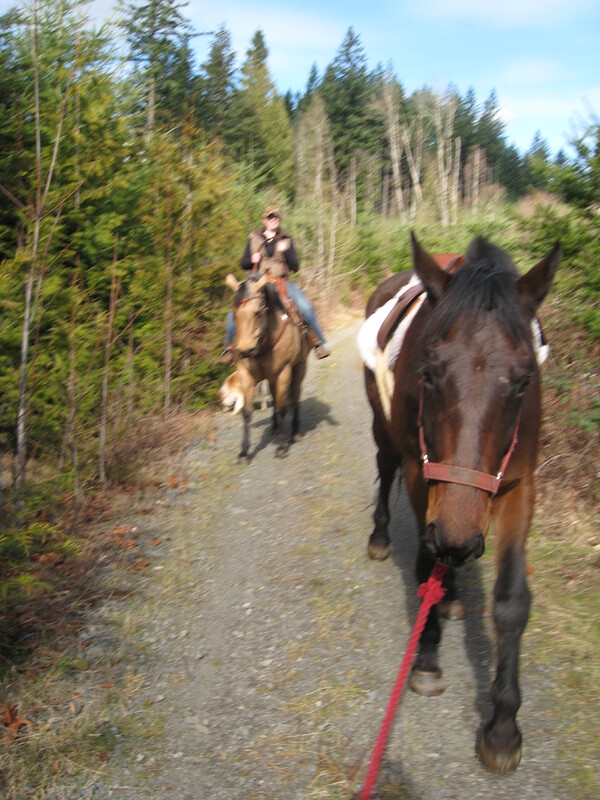 Here we are passing the cattle pasture on the way. He saw some cows pretty close up and also a few more stranger horses came to their fences to greet us as we walked by. This entry was posted on February 21, 2011 at 8:47 pm and is filed under Uncategorized. You can follow any responses to this entry through the RSS 2.0 feed. You can leave a response, or trackback from your own site. We are all so very proud of our Chancey-Boy! 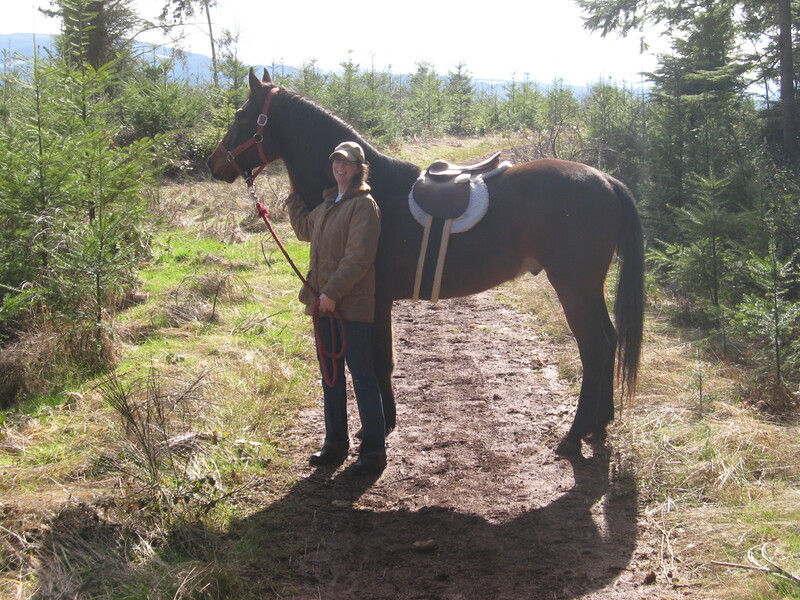 You are a braver woman than me, I started out the gate once w/Becca, she balked and we both went right back in! Chance is going to continue to become more and more outstanding.